Welcome to the Grand Chalet Hotel! We provide a warm, friendly atmosphere, where you can relax and feel at home. 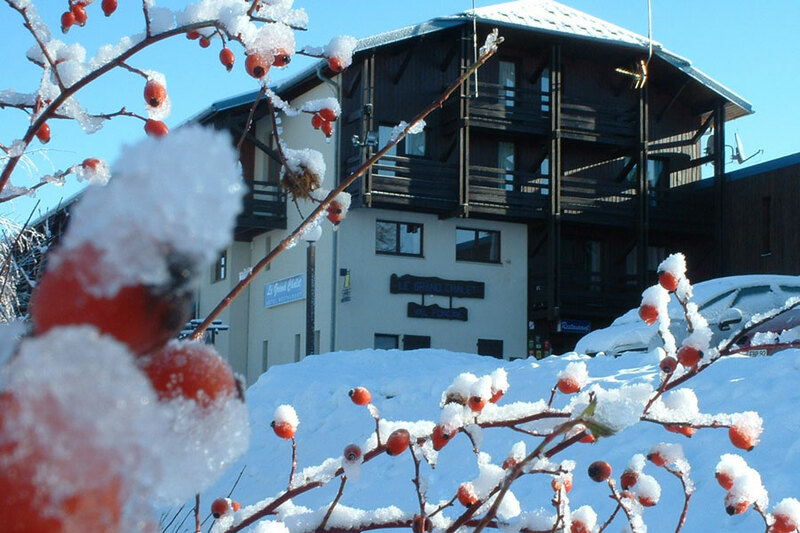 In the heart of the Jura Mountains, The Grand Chalet Hotel harmoniously combines a friendly atmosphere with the personal touch with the facilities to welcome a large number of people. 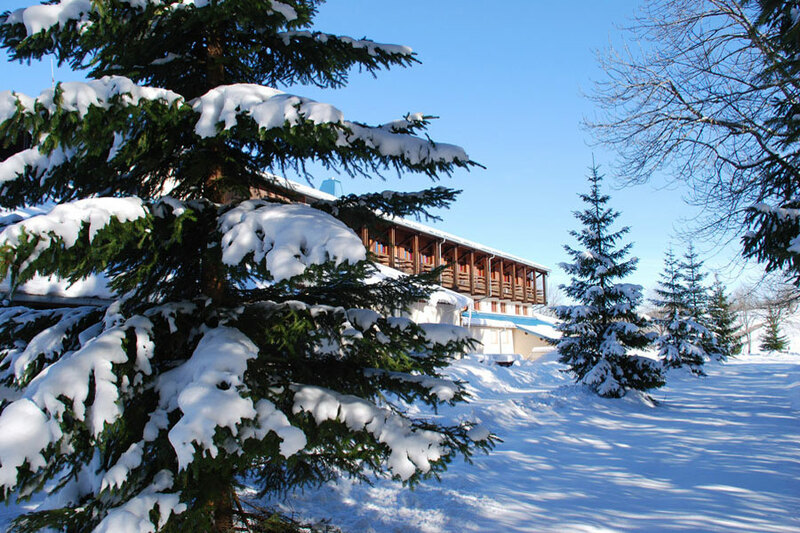 We have done our very best to recreate for you the warm ambiance of a real chalet. And the atmosphere, catering, reception and the activities we propose are all infused with good cheer and friendliness. Let our teamhelp you discover the many delights and activities of the outdoors, for both children and adults, in our mid-altitude mountainous area and beautiful region. We are ready to help you plan your holiday week, whether it is for a special interest group, your family or a tailor-made stay, especially for you. We have your well-being in mind! We offer 55 quiet and comfortable en-suite rooms. They are equipped with direct dial telephones, flat-screen TV with the video schedule and Wi-Fi. All our rooms are non-smoking. We have 25 rooms (out of the 55) especially for families: duplex with a mezzanine, which can sleep 3 or 4. 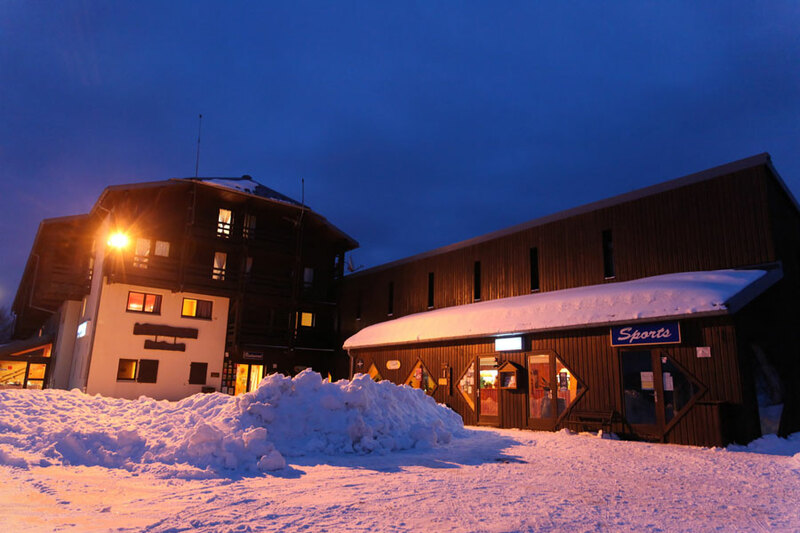 Whether you are on foot, in a car, a coach, on a motorcycle, a bicycle, skis, snowshoes…,The Grand Chalet is the place where your group, family or friends can meet, take a break, stay for a longer time or go on a tour with a guide. We will do everything to make your stay a very enjoyable one and send you off with excellent memories. 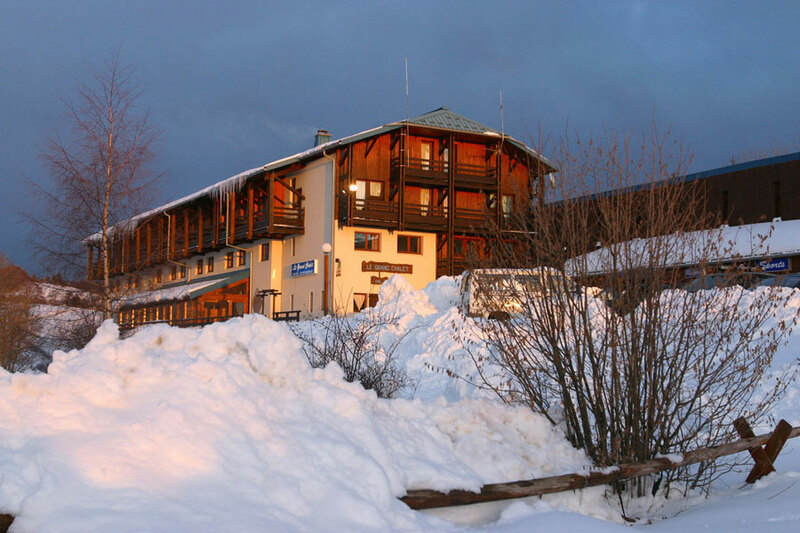 The Grand Chalet is ideal for your holidays and weekends, whether you come as a family, a couple or solo. 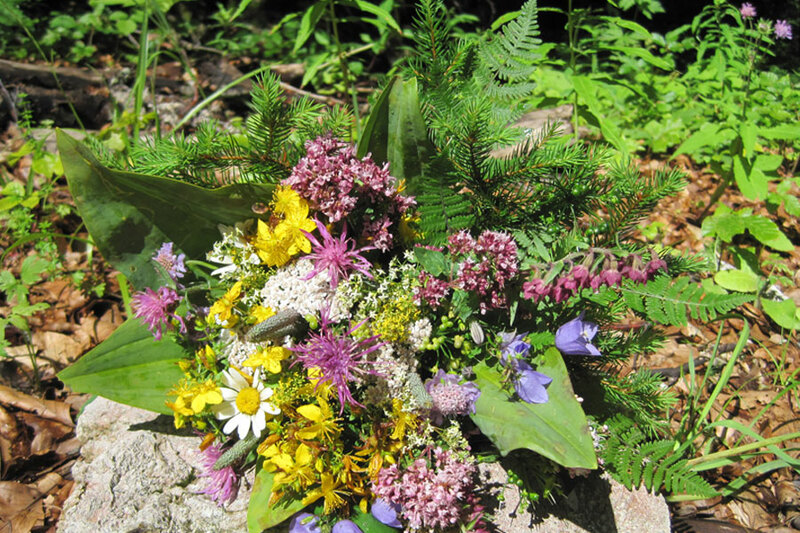 We are located in a beautiful area, calm and in nature, and near shops. 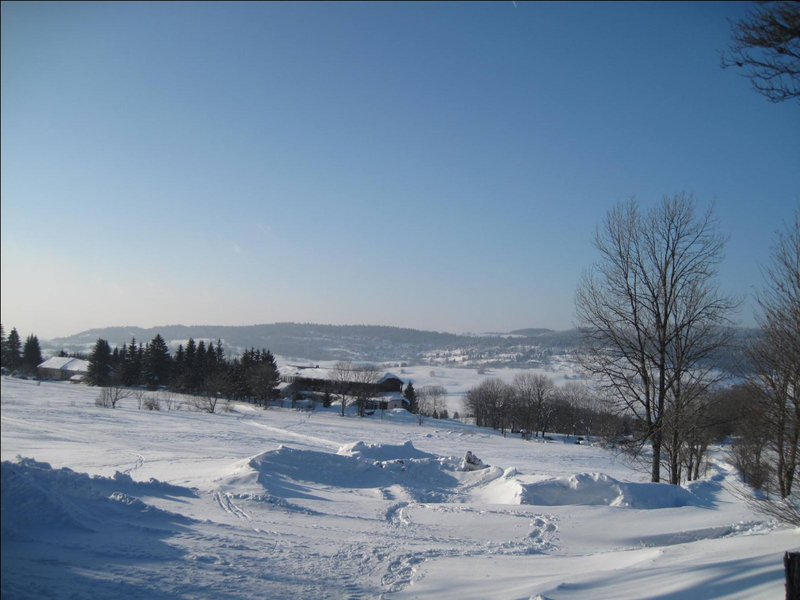 We are 1,000 metres up, we have a panoramic view, Mont Noir is behind us, and we are right where the hiking, cross-country skiing and snowshoe trails begin. You have both winter and summer access to Chapelle des Bois and the Pré d’Haut mountain hut, 1,270 metres high. 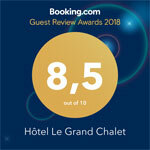 Why come to the Grand Chalet? 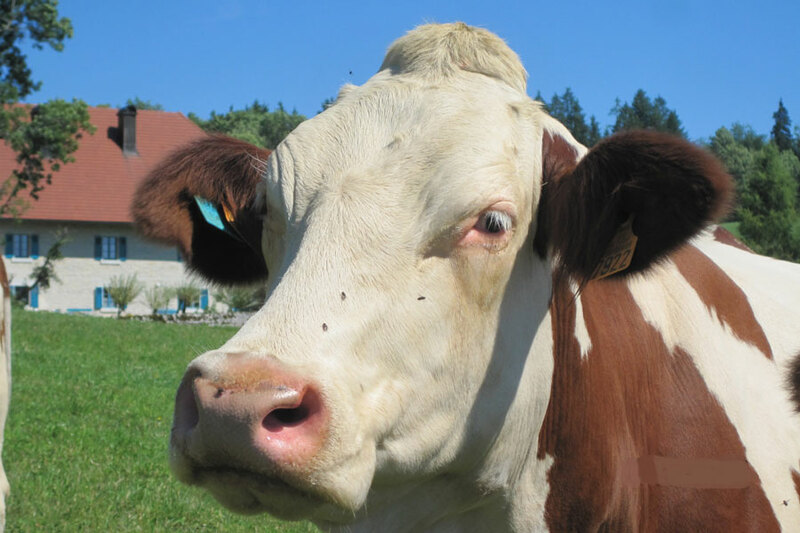 Foncine-le-Haut is a traditional rural village in the Jura Mountains, located on the uplands of la Haute Joux/Mont Noir. 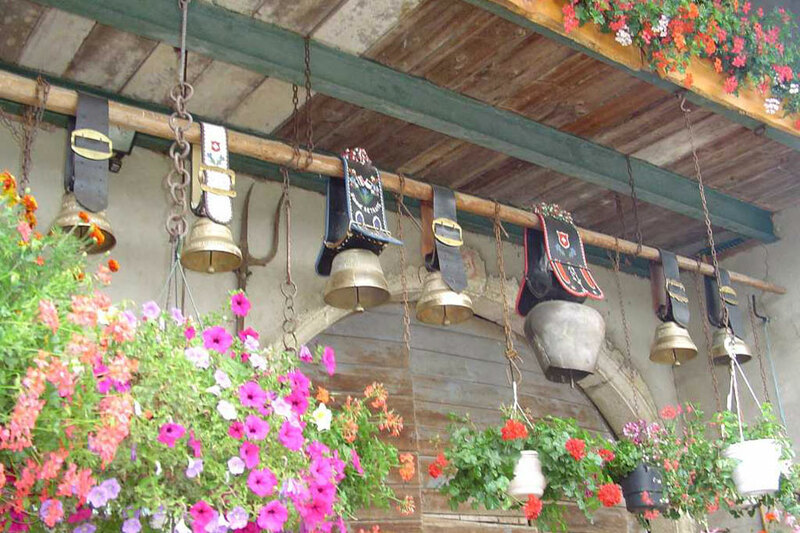 There is easy access to the neighbouring Swiss mountains, the lake area and the Doubs Valley, to shops and other services. The Saine River, known for its trout fishing, has its source at Foncine-le-Haut. 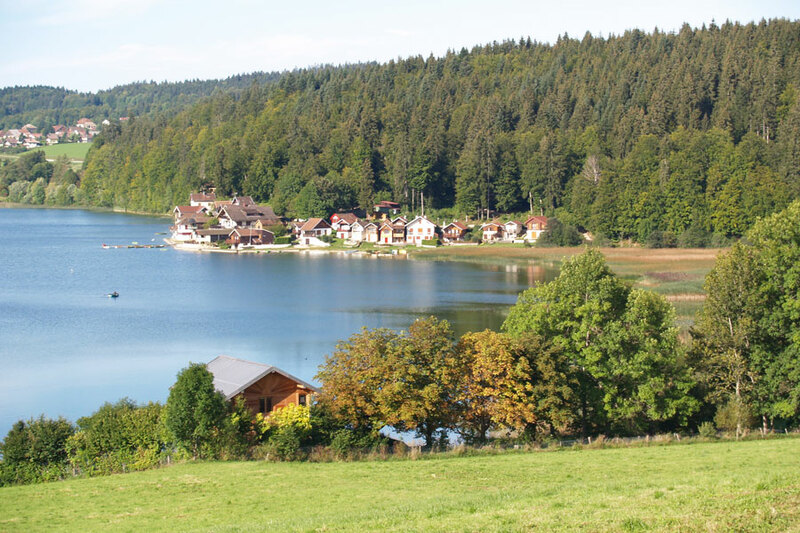 It’s perfectly located for exploring Franche-Comté and Switzerland. The Grand Chalet Hotel is 1,000 metres high: a hotel for all seasons of outdoor activities. 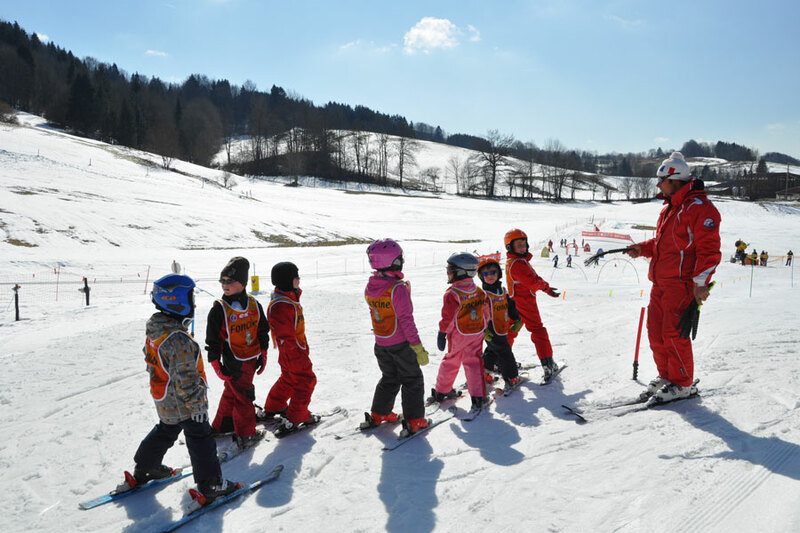 We offer half board and full board during winter school holidays along with many activities for children and adults. We continue to offer family shows and activities during the rest of the year, but our schedule is less intense. 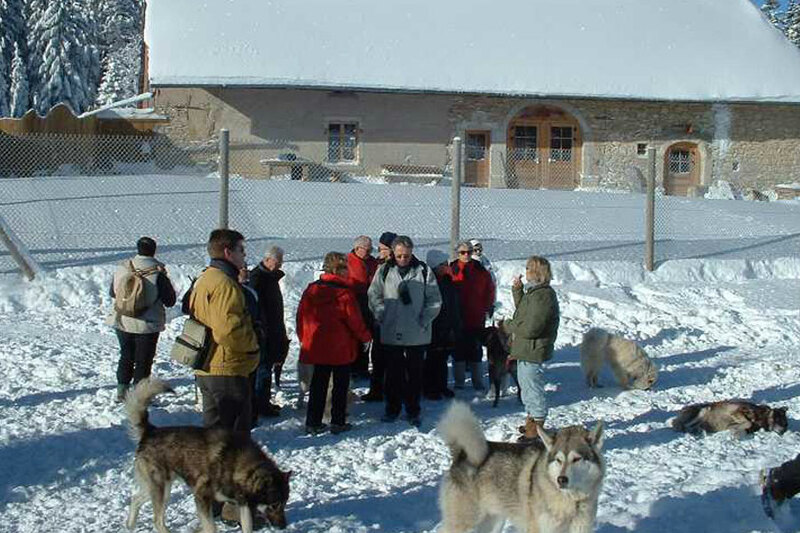 The Grand Chalet is 2.5 km away from Foncine-le-Haut, at the end of a road. 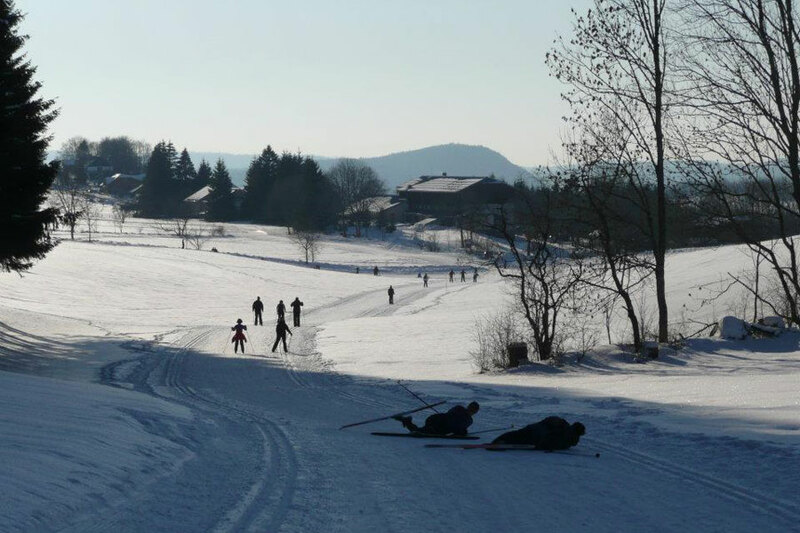 Winter: The cross-country trails pass right behind the hotel and connect with Chapelle des Bois and Mouthe/Pré Poncet. Marked snowshoe trails start from the hotel. There is a toboggan run too. There is downhill skiing in the village and dog sledding. 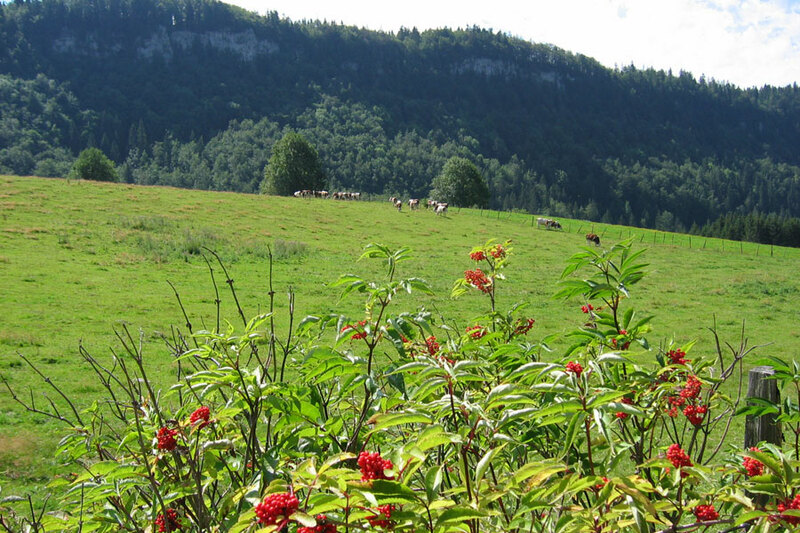 Summer: The “Grande Traversée du Jura” (GTJ) and the GR trail pass behind the hotel. There are many mountain bike trails. There are tennis courts in the village and a nearby trout river. There is Wi-Fi access in all the lounges and bedrooms.